Agoracom: Small Cap Investment - ThreeD Capital Inc - INTERVIEW: Legendary Financier, Sheldon Inwentash, Sets His Focus On Blockchain Themed Technologies and Tells Investors "Stay Tuned". Message: INTERVIEW: Legendary Financier, Sheldon Inwentash, Sets His Focus On Blockchain Themed Technologies and Tells Investors "Stay Tuned". INTERVIEW: Legendary Financier, Sheldon Inwentash, Sets His Focus On Blockchain Themed Technologies and Tells Investors "Stay Tuned". Earlier today, ThreeD Capital (IDK:CSE) Issued A Press Release Announcing It Had Revised It's Investment Verticals, With A Hard Focus On Blockchain Themed Technologies. 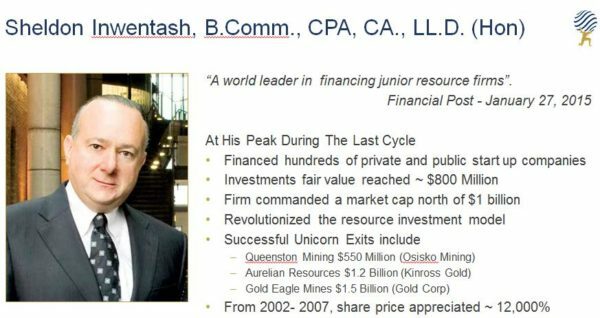 Many of you don't know ThreeD Capital - Just Yet - but you do know it's Founder, Chairman and CEO, Sheldon Inwentash. If you don't, then you're about to make your discovery of the year. In short, when Sheldon Inwentash speaks, listeners stand to make a lot of money. A lot. He spoke today about why he's set his sights on the Blockchain. His most powerful words were his final two ... "Stay Tuned".